The surname Shakspere (or Shaksper) was the preferred spelling of the Stratford actor and theater owner. 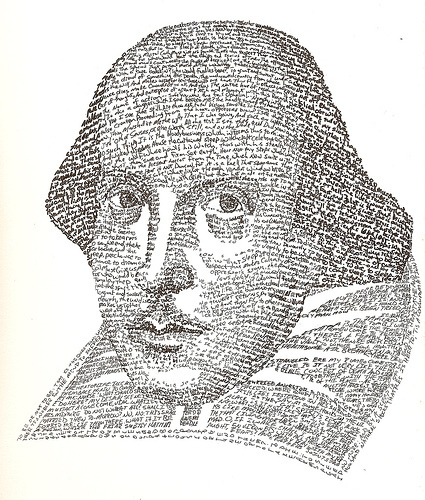 The surname Shakespeare (or Shake-speare) is a pseudonym for the secret author of the Shakespeare corpus. William Shakesper of Stratford-Upon-Avon was not the author of the works of William Shakespeare. As I have shown from documents available to anyone, there was no preferred spelling of the Bard’s surname, until Shakespeare became the conventional spelling, many decades after the Elizabethan / Jacobean era. Two additional variations on the name (overlooked in my earlier article) should be added to this list: Shagspere – the name appearing on the Nov 28, 1582 marriage bond of Ann Hathaway and young Will. (For Shagspere, see: The Nov 28, 1582 marriage bond, which has “William Shagspere” is reproduced in William Shakespeare: A Documentary Life, Samuel Schoenbaum, (Oxford University Press, New York: 1975) p. 62. The same source (page 70) reserves Shaxpere, a surname appearing on a Nov. 27, 1582 hand-written marriage license, which refers either to our subject (with the bride mistakenly misnamed) or to another eager groom named Will, whose surname was officially spelled with equal creativity, and who was preparing to marry a bride named Ann Whateley.) Shackespere – the name appearing in litigation brought by the father and captioned under what became the standard spelling, Shakespeare v. Lambert (1588), with Shackespere referring explicitly to the son. (See William Shakespeare: A Compact Documentary Life, Samuel Schoenbaum (Oxford University Press, New York: 1978) with Willielmo Shackespereat p. 40, Shakespere v. Lambert at p. 39.) An anti-Strafordian website misstates the caption, substituting Shackespeare for the actual Shakespeare. For this, see “Shakspere Chronology – 1564 to1592” (http:/ /www.sourcetext.com/sourcebook/1592.htm). Shagspere and Shackespere, from 1582 and 1588, are closely associated with the young man whose surname has come down the centuries as Shakespeare. Why ought one assume that Will S________ preferred to see his surname spelled Shakspere? One oughtn’t. There is not a shred of evidence that any form of Shakespeare ever was used as a pseudonym. This fact does not dampen the zeal of the no-poet-Shakespeare faction, who have Christened the Stratford man Shacksper/e. We are to call him by a non-normative spelling – anything but Shakespeare, the conventional spelling associated with the works – since a distinction between the Stratford rube and the London Bard must be preserved. What’s the problem? What is going on? The problem is bad history. What is going on is a deceptive misuse of documents by some of the influential campaigners against the Stratford Bard. What is insistently overlooked by anti-Stratfordians, is that an inquiry into the identity of an author is an inquiry into actual past events. To get the history right, contingencies of time and place must be pinned down. Once this is done, then you know what you know and you don’t know any more than that. If contingencies cannot be pinned down, then one cannot know. From an historical record, inferences can be drawn from what is known; but inferences ought not be drawn from silence. All that can be said when the record is silent is: we do not know because the record is silent. To believe that the Stratford man did not write Shakespeare is to believe that history is not a record of past events but is a mire of shadowy occurrences, which can be cherry picked to support otherwise unsupportable notions. For centuries, the search for data about Shakespeare has given occasion to misrepresentation, forgery and fraud. The misrepresentation probably began innocently, as residents of Stratford, decades after the death of their famous neighbor, began to field questions about him and discovered that the little that was remembered of Shakespeare did not shine a bright light upon his genius. Early inquirers encountered stories which have the odor of embellishment: young Will was a poacher of deer and had to run away to London; young Will attended school but had to leave, owing to his family’s poverty; young Will was apprenticed to a butcher and would burst into poetic speech while slaughtering a cow. All of these ‘facts’ appear in the written record decades after Shakespeare had died in 1616. None of this can be said to reflect the memories of anyone who was acquainted personally with Shakespeare. The supposed absence of contemporary documentary evidence opened the way for fraudsters to counterfeit and therefore produce allegedly ancient documents and announce their ‘findings’ to the world. In many cases, legitimate historians have been taken in and have publicized the bad with the good. Today, one still must separate what is known from what is claimed. There is only a slight possibility that someone might counterfeit something and announce a ‘discovery.’ More likely today is the shading of known facts and the misuse of materials which are part of the historical record. Shakespeare’s son-in-law, Dr. John Hall inherited Shakespeare’s personal property in 1616. In Hall’s 1635 nuncupative (oral) will, he left his books to his son-in-law “to dispose of as you see best.” These facts tell us that we cannot know what books Shakespeare owned at his death. In 1637 Shakespeare’s daughter, Susannah, widow of Dr Hall, joined with her son-in-law (the 1635 heir to Hall’s books) and complained in Chancery court that one Baldwin Brooks had broken into New Place, Shakespeare’s old home and robed the house of “divers books’ as well as “other goods of great value.” This fact give us the only reasonable conclusion to be drawn: in 1637 there were books in the house formerly occupied by William Shakespeare, but there is no way to know if any that were stolen – or that were not stolen – belongs to Shakespeare or to his son-in-law, John Hall, or , since, Dr Hall had died in 1635, whether all the books belonged to someone else. Do Mr. Anderson and Mr. Kossolotto not know that Shakespeare left his personal property to his son-in-law, John Hall? Or that Dr Hall left books to his son-in-law? Do Mr. Anderson and Mr. Kossolotto not know that Shakespeare’s old home was robbed and “books” were stolen? Do the drafters of this declaration not know that at Shakespeare’s passing, by the terms of his will, his unlisted personal property was devised to his son-in-law – who then left books to his son-in-law? Are the drafters unaware of the theft of books from Shakespeare’s heirs? Shakespeare left no books. It is misleading to claim as a fact, what is an assertion that disregards the known facts. Assertions that go beyond the known facts are not grounded in the historical record. The most we can say is Shakespeare’s personal effects were left to his immediate family, including his son-in-law, John Hall. Hall served as executor and in this formal and official role, proved Shakespeare’s will and submitted an inventory of the decedent’s property (see below). All of the known facts contradict the statement: Shakespeare left no books. Upon this factually unsupported assertion has been erected a very unreliable structure: because Shakespeare left no books, then he owned no books and since he owned no books, he could not be the author of the Works. Applying the same obscurantist logic, I may as well claim that Shakespeare wore no pants because his will is devoid of any mention of them. In 1612, Jaggard brought out a third edition of The Passionate Pilgrim, and for the first time included in this edition two long poems by Thomas Heywood, which had been published previously by Jaggard himself in Troia Britannica (1609). The inclusion of Heywood’s two poems in The Passionate Pilgrim, in 1612, was done without Heywood’s permission. Because the 1599 edition of The Passionate Pilgrim had not contained Heywood’s purloined poetry, that edition gave no occasion for an objection from him. But the 1612 edition, containing two of Heywood’s long poems, prompted his public complaint. Heywood’s complaints were not without effect. Later that same year, 1612, Jaggard re-printed The Passionate Pilgrim with a new title page, omitting Shakespeare’s name. Heywood’s statement that Shakespeare, in 1609 saw to the publication of his sonnets, is a statement that requires an explanation by those who think the true author of the sonnets was Edward de Vere, dead in 1604. If the 1609 appearance of the sonnets pleads for an explanation, the 1612 events demand one. In 1612, for the first time, The Passionate Pilgrim was reprinted with Thomas Heywood’s poems. In 1612 Heywood complained in print about Jaggard’s misconduct. In 1612, Jaggard acknowledged the complaint by replacing the title page (in at least some copies) which had attributed the book to Shakespeare with a title page that did not. For those who believe that Edward de Vere wrote the Works, these events from 1609 and 1612, occurring well after de Vere’s death, must be confronted. But how? “To alter is more easy than to explain,” wrote Samuel Johnson, in his commentary on Shakespeare. Johnson then added, “temerity is a more common quality than diligence.” This is as true today as it was in Johnson’s. Here is a case in point. Alteration of the facts, not an explanation of them, is what we find in a book entitled, “Shakespeare” by Another Name: The Life of Edward de Vere, Earl of Oxford, the man Who Was Shakespeare. The book’s author, Mark Anderson, obscures the history of the printings of The Passionate Pilgrim, the better to fit them into his de Vere authorship theory. Dead in 1604, De Vere could not be the “much offended” writer Heywood has in mind in 1612. Because 1612 is too late, the de Vere authorship theory simply collapses. To avoid this, Anderson pretends that nothing at all happened in 1612. In his book, Anderson mentions the 1599 publication of The Passionate Pilgrim, but not its re-publication in 1612. Instead, Anderson states that Heywood had been “anthologized” in The Passionate Pilgrim. Anderson does not tell his readers when this happened: 1612. Instead, Anderson implies that Heywood’s protest to the printer occurred at some unspecified future point, when Heywood “later reflected.” The reader of Anderson’s statement of events is left to assume that later, means sometime after 1599. But later can only mean 1612, since Heywood’s work had not been included in the 1599 edition. Even this fudge is not quite enough for Anderson, who alters Heywood by adding a “[was]” in the middle of Heywood’s statement: “the author I know [was] much offended.” An author much offended is offended now, that is, in 1612; Anderson cannot allow this. So he has Heywood say what he did not say: the author I know [was] much offended. As to the documented, 1612 amended printing of The Passionate Pilgrim, this time without authorship attributed to Shakespeare, Anderson is silent. He has to be. Mention of this re-printing, occasioned by Heywood’s public protest, simply destroys the assertion that de Vere wrote the Works. Just as he cannot explain how de Edward Vere could have published the sonnets in 1609, Anderson knows he cannot explain how de Vere could have been mollified by an event which occurred in 1612. Since Edward de Vere would have had to be much offended eight years after his death, perhaps we can expect to see a book theorizing that the Works were actually penned by the ghost of Edward de Vere. Such are the contortions of a contortionist, who must try to fit facts to theories rather than theories to facts. Here are the relevant paragraphs from Mr. Anderson with emphasis added. In sum, Mr. Anderson has failed to take notice of the printing sequence of The Passionate Pilgrim (1599, a second printing about 1606, two more printings in 1612). It is obvious that by the rhetorical deployment of a “later” and a “[was]” Mr. Anderson is aware that he cannot fit the printing sequence and Heywood’s 1612 complaint into the biography of Edward de Vere. It is clear, too, why Mark Anderson simply ignores this 1612 statement from Heywood: “he, to do himself right, hath since published them in his own name.”  This is a reference to William Shakespeare, the author of the sonnets. It cannot be a reference to Edward de Vere. Dead in 1604, de Vere could not have seen to the publication, in 1609, of a volume which included the two sonnets that had been published in the The Passionate Pilgrim. The purpose of a will is to devise property, not to list property. Mark Anderson, like the no-poet-Shakespeare faction he so ably represents, is confused about this. If one is going to feign shock at the absence of books and play-scripts, as Mr. Anderson does, he must contend with the historical record, which indicates that Shakespeare made his money through performance of his plays – not by continuing ownership of play-scripts. At his death Shakespeare probably did not own any play-scripts at all. Even if Shakespeare did own play-scripts at his death, these items, like his pants, would not have been itemized or even mentioned in his will. Virtually every sentence in this paragraph suggests ignorance about how and why a testator would make a will. The point of a will has nothing to do with laying down a certain “turn of phrase.” The failure to mention “books, plays, poems or literary effects . . . musical instruments . . . a writing career”. . . nothing to any writers,” no mention of certain individuals “Stratford’s Richard Field, who printed he poems” – none of this points to failure or omissions by a testator. The expectation of such items drops all of the signers of the Declaration into a mélange of unsubstantiated ideas and fanciful suppositions about what an individual must have cared about, on his death bed, in an English market town in 1616. The mixed-up notions in the on-line Declaration of Reasonable Doubt are also muddled about the function of the executors’ inventory, which can be conducted only after the testator has died. There can be no detailed listing of the property until the will goes into effect on the death of the testator. The executors then make their list. Not before. From the Declaration we read: “Dying men are usually very aware of, and concerned about, what they are famous for.” This sentence is a howling absurdity. The persons who crafted the Declaration suppose they can read into the minds of “dying men.” (What? No women?) A dying may be brief or long. A dying may be accompanied by shock, excruciating pain, disorientation, grief, a sense of loss, regret, physical humiliation, shame, anger, reconciliation, joy. Unimaginable to the declaration-committee, but part of my experience as a sometime hospice volunteer, what you are famous for does not make the short list of urgent concerns in the mind of a dying person. “It does not appear that Shakespeare thought his works worthy of posterity, that he levied any ideal tribute upon future times, or had any further prospect, than of present popularity and present profit. When his plays had been acted, his hope was at an end; he solicited no addition of honor from the reader. He therefore made no scruple to repeat the same jests in many dialogues, or to entangle different plots by the same knot of perplexity . . .
“So careless was this great poet of future fame, that, though he retired to ease and plenty, while he was yet little inclined into the vale of tears, before he could be disgusted with fatigue, or disabled by infirmity, he made no collection of his works, nor desired to rescue those that had been already published from the deprivations that obscured them or secure to the rest a better destiny, by giving them to the world in their genuine state. Just as he elects not to consider that the ownership of Shakespeare’s plays passed to the players, Anderson and the anti-Stratfordians I have read, elect to remain silent about the documented existence of an inventory associated with Shakespeare’s will. Avoidance of mention of an executor’s inventory of Shakespeare’s possessions at his death makes sense from an anti-Strafordian point of view. If there was an inventory, then all the talk about what we find or do not find mentioned in Shakespeare’s will is pointless. 2 “Will Shakspere – as the actor preferred to spell it – ” Mark Anderson neglects to tell us how he knows this. See “Shakespeare” By Another Name, The Life of Edward de Vere, Earl of Oxford, the Man Who Was Shakespeare, Mark Anderson (New York Gotham Books, 2005), p. xxviii. 5 Among dozens of others, the books of the highly regarded James Orchard Halliwell-Phillipps, including his magisterial Life of William Shakespeare (London: John Russell Smith, 1848) are now accessible at GoogleBooks. This is also true of Sidney Lee’s A Life of William Shakespeare (London: Smith Elder & Co. 1908). 6 The Shakespeare Authorship Coalition is soliciting signatures on its website to be placed after a Declaration of Reasonable Doubt About the Identify of William Shakespeare. See: http://www.doubtaboutwill.org/declaration The Declaration is preceded by this statement: “‘Shakspere’ a frequent spelling of his name [is] used here to distinguish him from the author.” This is a question-begging ploy, like announcing that we will always refer to the baseball player from Baltimore as George Herman Ruth, so as to distinguish him from the iconic “Babe” Ruth – and won’t you sign our petition stating that you doubt they are one the same person? 7 Was Will a poacher of deer? Did he run away to London? The story that he poached or stole deer goes back to Nicholas Rowe (Some Acount of the Life of Mr. William Shakespear, 1709 – for the text of Rowe, see Project Guttenburg) and is more than a century removed from events that might have occurred in the 1580s. Rowe has young Will fallen into “ill company” who led him into robbing a “park” (private forest) owned by Sir Thomas Lucy, whose prosecution of our subject caused him “to leave his Business and Family in Warwickshire, for some time, and shelter himself in London.” (See Works, Rowe, ed. 1709) i, p. v.); see also Schoenbaum’s Compact Documentary Life, pp. 98, 331. 8 Did young Will attend the Free School in Stratford? Was he compelled to drop out? Rowe’s report suggests that the boy went to school for some time but he was compelled to leave school and go to work, as the father had fallen upon bad economic times. 9 Can we be confident about a “butcher” apprenticeship for young Will? Schoenbaum thinks not, as it comes into the Shakespeare biography only in 1693, when a Mr. Dowdall was told by the “ancient” parish clerk and sexton that “Shakespear was formerly in this town bound apprentice to a butcher; but that he run from his master to London, and there was received into the playhouse as a serviture, and by this means had an opportunity to be what he afterwards proved.” To this narrative, Schoenbaum adds, “Although this story does not state that the employer was William’s father, it seems to have its origin in the familiar misconception about John Shakespeare’s occupation, and so has no more persuasive force than implausible gossip.” See Schoenbaum’s Compact Documentary Life, p. 109. 11 In fact, there is considerable contemporary evidence that Shakespeare was Shakespeare. An excellent summary of this material is conveniently made available by David Kathman and his colleagues at http://shakespeareauthorship.com/. See also the excellent The Case for Shakespeare: The End of the Authorship Question, Scott McCrea (London, Westport: Praeger 2005). 12 Explicit deception seems to have begun with John Jordan (1746-1809), a resident at Stratford, who forged the will of Shakespeare’s father, among many other documents. Then there was the law clerk, William Henry Ireland (1777-1835), who became a forger apparently to help his father, Samuel Ireland in his antiquarian competition with the literary historian Edmond Malone. For accounts of the misdeeds of Shakespeare forgers, see Sidney Lee’s Life of William Shakespeare, p. 382 ff and Contested Will: Who Wrote Shakespeare? by James Shapiro (Simon and Schuster, 2010 ) esp. pp. 10-13, 17-36, 64-67. 13 Halliwell-Phillipps in his Life of William Shakespeare stated (p. 328) that Shakespeare was familiarly termed Willy “in a MS. found by Mr. Collier at Dulwieh College.” Unfortunately for Halliewell-Phillipps and his readers, John Payne Collier was a forger; his books are “honeycombed with forged references to Shakespeare, and many of the forgeries have been admitted unsuspectingly into literary history.” See Sidney Lee’s Life p. 384. 16 See Anderson’s “Shakespeare” By Another Name, p. xxix. We will return to this quotation when we consider Mr. Anderson’s failure to grasp the purpose of a will. See below. 20 The Passionate Pilgrim, Being a Reproduction in Facsimile of the First Edition, 1599, Introduction and Bibliography by Sidney Lee (Oxford: Clarendon Press 1895) pp. 187,188. 24 There was no copyright protection for authors at that time in England. With explicit reference to the unauthorized publication of The Passionate Pilgrim, Halliwell-Phillipps says, “There was, it is true, no legal remedy.” See Outlines of the life of Shakespeare, James Orchard Halliwell-Phillipps (London: Longmans, Green and Co 1883) p. 162. 25 Schoenbaum, Compact Documentary Life, p. 271; see also Scott McCrea’s The Case for Shakespeare, p. 191. 27 Id. See also Lee’s 1895 Facsimile edition of The Passionate Pilgrim, p. 45. 31 Samuel Johnson, Johnson on Shakespeare, Walter Raleigh (London: Henry Frowde 1908) p. 42. 32 See note 2, above. 33 Shakespeare” By Another Name, The Life of Edward de Vere, Earl of Oxford, the Man Who Was Shakespeare, Mark Anderson (New York Gotham Books, 2005), pp. 320,321. 34 Schoenbaum, Compact Documentary Life, p. 271. 36 Johnson quoted in Raleigh’s Johnson on Shakespeare p. 42. 37 See Anderson’s “Shakespeare” By Another Name, p. xxix. 39 Halliwell-Phillipps’ Outlines, p. 235, cited by Shapiro, Contested Will, p. 288. Scott McCrea, in The Case for Shakespeare (p. 48), helpfully tracked down the will, whose registration contained the notation, inventorium exhibitum – inventory attached. 43 Bonner Cutting, arguing that because some wills itemize some possessions, Shakespeare’s ought to have itemized more. Cutting’s wish list of what Shakespeare’s will should have mentioned – if he truly were the Bard – includes: “cupboards, hampers cases, boxes, presses or chests” “desk” “pen” “ink ” “music” “musical instruments.” Cutting acknowledges that an inventory of Shakespeare’s possessions was made, but Cutting asserts, without the slightest evidence, that this missing document has been “conveniently lost.” See “Shakespeare’s Will…..Considered Too Curiously,” Brief Chronicles Vol 1 (2009) pp. 208, 209.